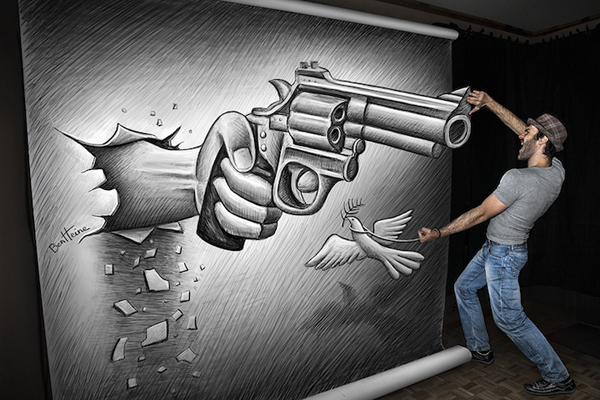 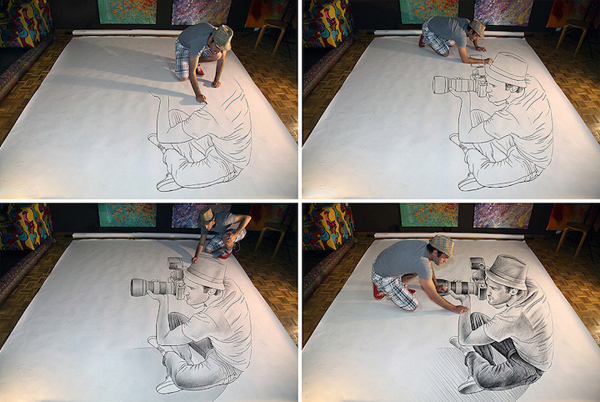 Belgian artist Ben Heine created “Pencil vs Camera”, a work that mixes drawing and photography to create some fascinating imagery. 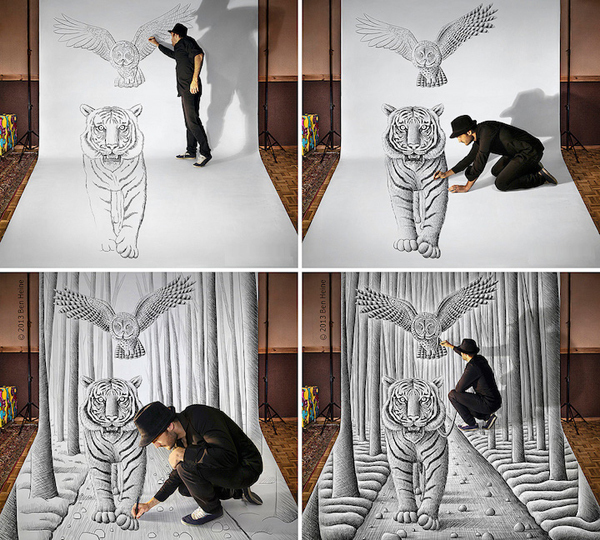 He produces 3D pictures using a pencil and a huge blank sheet. 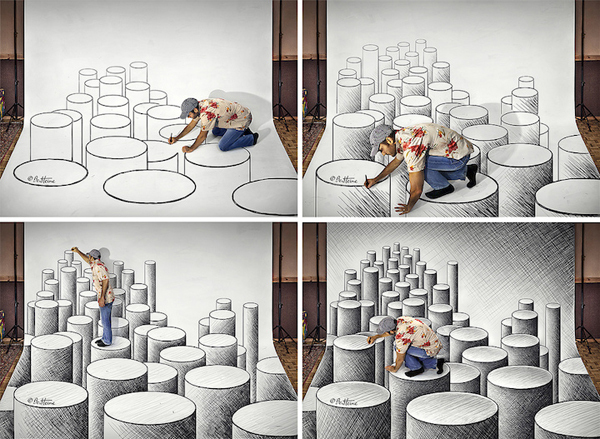 Heine brings new dimensions to the flat surface, making landscapes, animals and even himself appear on the paper. 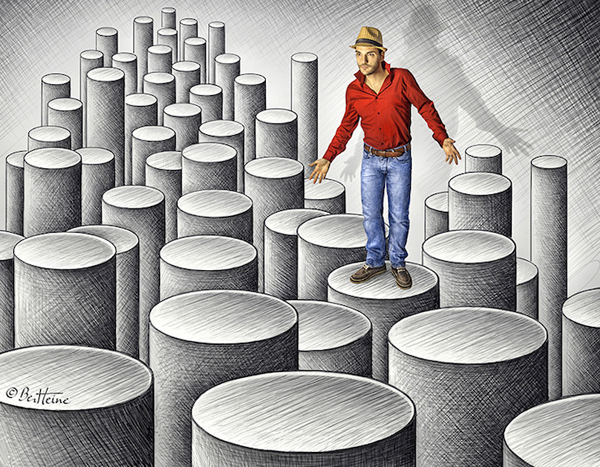 Ben’s work has inspired many other artists who have taken up similar style of producing images.